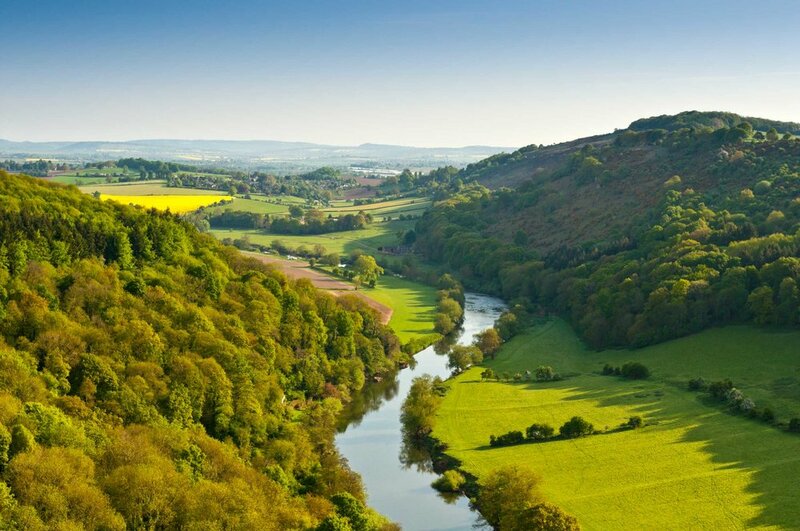 Why Go To The Wye Valley & Forest Of Dean? For a laid back float down a river, you may struggle to do better than canoeing through the beautiful Wye Valley - especially if you're dozing off at the back as the person in front paddles, oblivious. 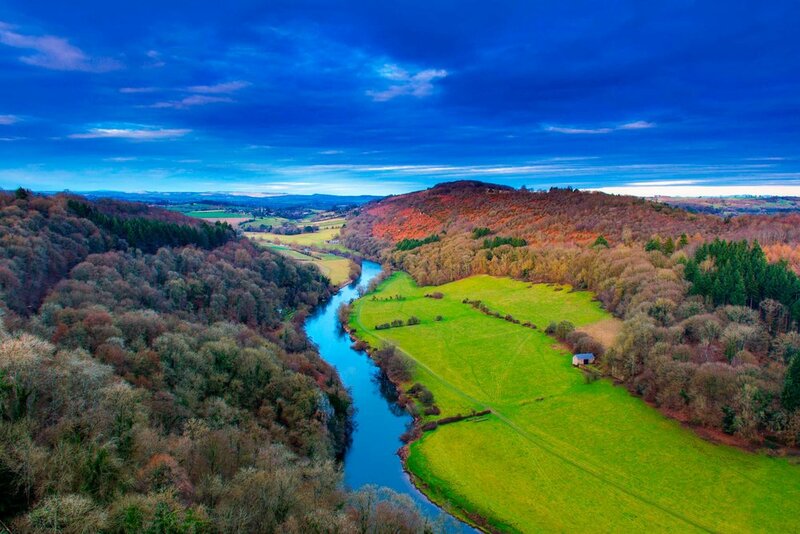 Stunning views of the watery meanders from Symonds Yat Rock. Right next door is the Forest of Dean - known for its huge old trees, walking and mountain biking. The drive down the valley towards Tintern and the huge ruined abbey is also top notch. The river (and road) winds across the border, and sat nav doesn't work brilliantly in these parts, so - pleasingly - most of the time you've no idea which country you're in. Getting there: 2 hrs train from Cardiff, 0.5 hr by car. From London 2.5 hrs by car. Trains not brilliant. Travel times from where you are: See the Wye Valley & Forest of Dean on Google Maps. Guidebooks: Best bet is the Lonely Planet Guide to Wales. Walking route guidance: Wye Valley AONB walking guides. Tourist board: Wye Valley & Forest of Dean Tourism. It's more about quality than quantity when it comes to good adventure inspiration in the Wye Valley and Forest of Dean... Roger Deakin's book Wildwood has a chapter on the area, and here's an intriguing look at the Forest of Dean's relationship with ochre from Another Escape.